I didn’t know you were considering writing. Very interested. Well, first priority is finishing a short (25 page) summary of 1689 Federalism. At some point after that would be a book specifically on theonomy. But realistically it will be a few years. 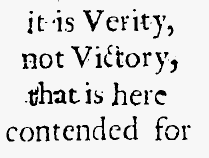 I look forward to your summary of 1689 Federalism, sometimes I can get lost in books and summaries are really helpful.